Theodore Roosevelt (1858-1919) was the 26th President of the United States and the most important in terms of conservation. His legacy is both broad and massive. He is legendary with conservation accomplishments, adventuresome stories, and literary talent. His life is worth extensive study and is one of my favorite human beings. United States Forest Reserve and 150 National Forests which currently encompass 225.6 million acres. Unfortunately, National Forests continue to be a contentious point among conservationists because of their mismanagement. But the potential is great and important and National Forests provide for wonderful exploring opportunities, including hiking with your dog and birding. 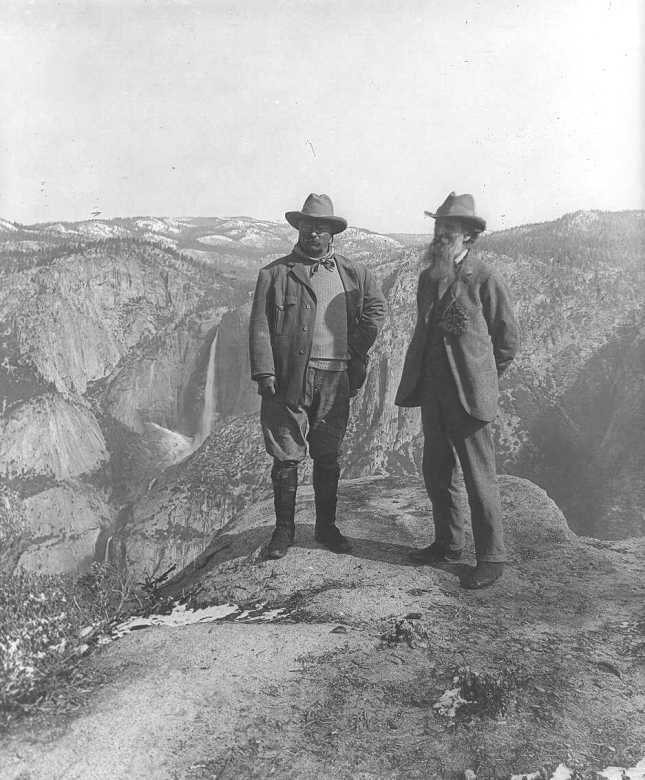 All told, Theodore Roosevelt protected 230 million acres while he was President. Theodore Roosevelt is honored on Mount Rushmore in South Dakota and is the only President to have a National Park named after him: Theodore Roosevelt National Park in North Dakota. Theodore Roosevelt was a prolific writer beyond being an avid outdoorsman. His books are filled with excitement and meld well with the hunter-conservationist part of the Conservation Movement. Somehow he was able to sit long enough to author or co-author 35 books.